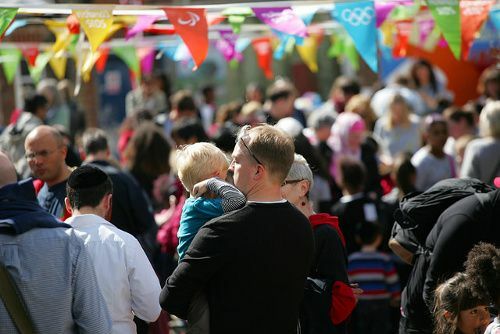 An estimated 800 visitors joined in the Mayday festivities at Kentish Town City Farm on Sunday. We had a great day and raised almost £2000 which kickstarts our new independent fund-raising initiative. Special thanks to all our young volunteers who helped clear the yard and to Megan, George, Freddy, Summer, Daniel, Callum and Casey for staying for the whole day and helping out with the tombola, goat grooming, the barbecue and treasure hunt. Thanks to all those who helped leaflet local schools and put up posters. Many thanks also to Kentishtowner, The Metropolitan Horse Police, Camden’s Healthy Heart Van, Fortess Road Printers, Jonathan Norris, Meat NW5, The Pineapple, Ruby Violet, Sainsbury’s, Spence Bakery, The Bull & Gate, The Grafton, The Vine and Tapping The Admiral. And last but not least thanks to our loyal trustees and staff members; John, Diane, Chris, Simone, Claire and Kerry.